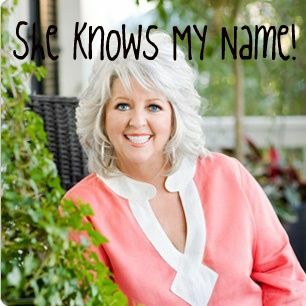 So, I found out today that I was disqualified from my Paula Deen Casting Competition. I was a little down, but then I realized that I had many more weeks of lovely competition to act upon. Then i found a message in my email inbox. Someone saw my video and sent an amazing email thanking me for being an inspiration! That nearly brought tears to my eyes. I love the fact that God has blessed me with the opportunity to bless others through simply doing the things I love. At the end of the email, she congratulated me for being featured on Paula’s website. I was like, WHAT!!!! Then I searched on the website thinking that this woman was misunderstood. No SHE WASNT! my video was right there, right on her website! PAULA DEEN SAW MY VIDEO AND NOTICED ME! SHE KNOWS MY NAME! Now, you, go and check it out! This is oober exciting. When I say oober, I mean SUPER OOBER!